If you need more details about ABS AH32, ABS DH32, ABS EH32, ABS FH32, please contact me freely. 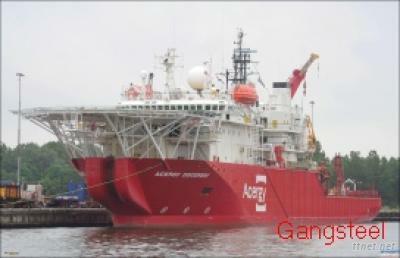 Application: Shipbuilding, offshore platform and other fabrication of offshore structures and facilities. HR, CR, N, Quenched, Tempering, TMCP, Electroslag Remelting Technical etc. Payment Item: TT or LC. GangsteelGroup is specialized in super thick ship steel plate and cooperated with ABS, BV, DNV, CCS, GL, LR, KR, NK, and RINA Classification Society to approve the super thickness plate to 300mm now.